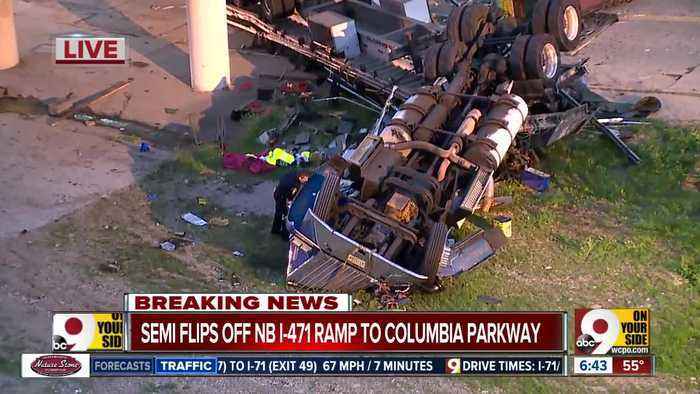 Two people were hurt after a semi fell from the Interstate 471 ramp onto Monastery Street in Mount Adams. 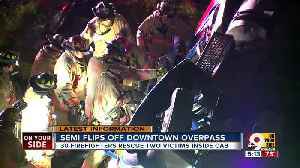 Excessive speed is a factor in the crash that sent a semi off the Interstate 471 overpass in Mount Adams early Wednesday morning, according to the Cincinnati Police Department. 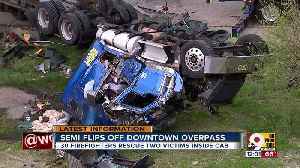 Excessive speed is a factor in the crash that sent a semi off the Interstate 471 overpass in Mount Adams early Wednesday morning, according to the Cincinnati Police Department. Two people, the..